It's back! The fastest sport on the planet returns as we go down under to Australia for the start of the F1 season. Gear up for the race here with our extensive preview of the race. So a new season awaits. New cars, new team personnel, new drivers, new engines and new circuits! Excited? You should be! Now I don't want to bore you with all the new regulations however it would be remiss of me not to mention the key changes. With respect to the cars, they are smaller, lighter and have had their wings clipped! 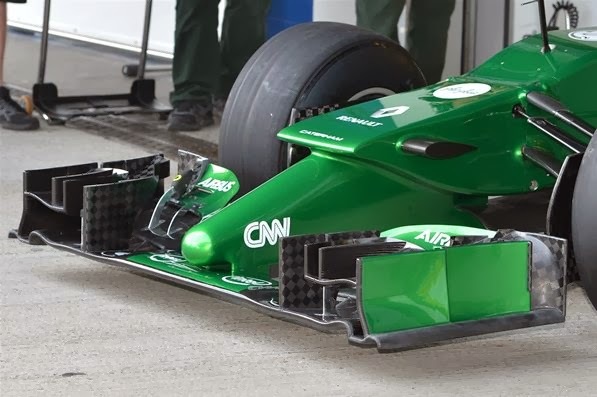 Front and rear wings are narrower to restrict aero downforce. The new regs dictate that noses have to be lower at the front resulting in designers producing unusual and slightly ridiculous solutions. Perhaps the biggest change to the cars are the power units. Gone are the normally aspirated 2.4 litre V8's and in come the smaller 1.6 litre turbo charged units with two energy recovery systems, (ERS). Although the RPM has also been limited to 15000 these power units should produce similar power levels to last years cars. They are however not as loud and if you are attending a Grand Prix this year you wont need to bring any earplugs! As a long standing F1 fan I think that`s a bit of a shame. In terms of Driver changes, Kimi Raikkonen moves from Lotus to take Felipe Massa`s seat at Ferrari while Massa moves to Williams Martini Racing alongside Valtteri Bottas. Daniel Ricciardo comes in to replace the Porsche bound Mark Webber at Red Bull while the talented young Russian Daniil Kvyat replaces the Australian at Torro Rosso. For McLaren, out goes the Mexican Sergio Perez to Force India and in comes the promising rookie Kevin Magnussen, son of former F1 driver Jan Magnussen, to partner Jenson Button. Going to be some great team mate battles this year! During winter testing, the Red Bull team have struggled and have been beset by fires and overheating, limiting their test mileage. Has Adrian Newey got it wrong this year? He has got it wrong in the past, the unraced McLaren Mercedes MP4-18 probably the best example of this. The Mercedes engine teams (Mercedes AMG, McLaren, Force India) have performed best in testing and I would say that either Lewis Hamilton or Nico Rosberg are favourites to win the season opener in Melbourne. 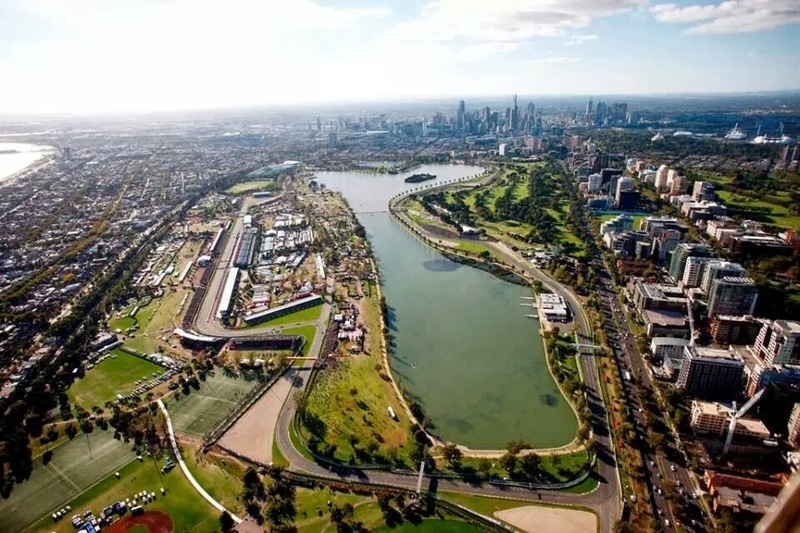 So to the Australian Grand Prix itself, we return to the fantastic Albert Park! A fast yet challenging circuit set around the Albert Park lake in Melbourne Australia. The circuit has been the venue of the Australian GP since 1996 when it took over from the street circuit of Adelaide. The circuit is 3.295 miles long and has 16 turns. The current lap record is 1:24.125 set by Michael Schumacher for Ferrari in 2004. 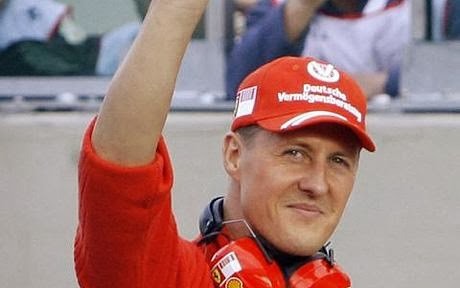 Michael Schumacher also has the most number of wins here with 4 Australian Grand Prix victories. McLaren have been the most successful constructor with 12 wins. Last year saw Kimi Raikkonen win in the Lotus Renault with Fernando Alonso and Sebastian Vettel finishing 2nd and 3rd respectively. The Mercedes powered teams have performed best in testing. 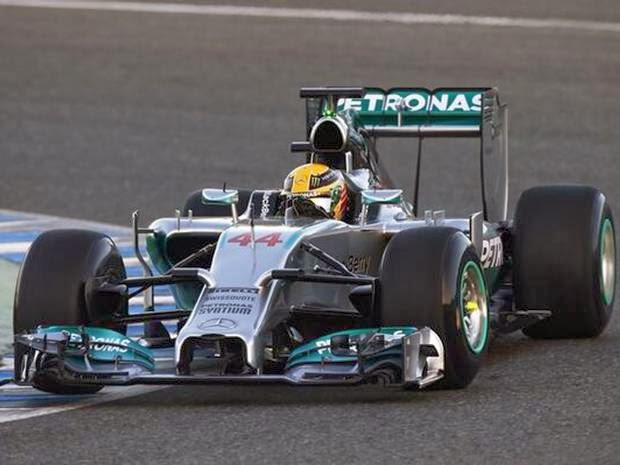 Lewis Hamilton has been very focussed during the winter and I will now predict a Hamilton Mercedes win! My 2014 Australian GP podium, 1 Lewis Hamilton, 2 Kimi Raikkonen, 3 Nico Rosberg. The winter is over, bring on the new season, cant wait to see you all down under for a beer and a barbie mate! Bring on the 2014 FIA Formula One season! Dedicating this preview to the great Michael Schumacher. We are all behind you champ, keep fighting. Full preview for the F1 Australian Grand Prix 2014, the first race of the F1 2014 season.